In the ecological and geological respect the sand soil stratum is considered as a component of ecological–geological systems or biogeocenoses. The characteristic ecological–geological features of sand massifs are studied. Types of sand ecological–geological systems are distinguished and their structure is described. Original Russian Text © V.T. Trofimov, V.A. 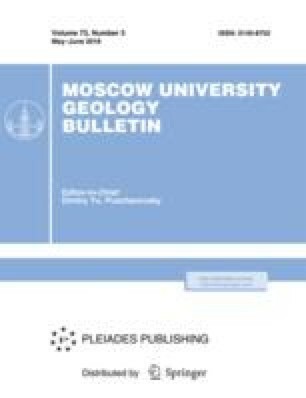 Korolev, 2018, published in Vestnik Moskovskogo Universiteta, Seriya 4: Geologiya, 2018, No. 2, pp. 59–65.